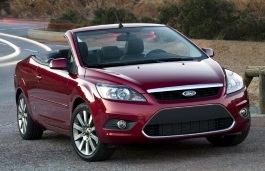 Correct Wheel Sizes, PCD, Offset, Rims and Tire specs for Ford Focus series. 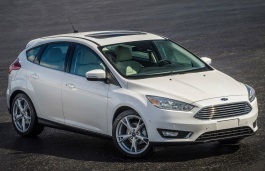 What size winter tire and rim is recommend for a focus 2013 in titanium trim? Hello. 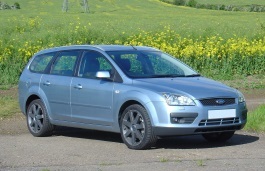 I want to fit some S-MAX alloys to my ford focus 2008. I know that the wheels fit an the 6.5x16 are the same and also the tire size would be the same as I am running now 205/55x16. So would there be any problems ? 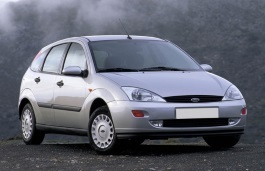 Hi there, just got a set of 4 genuine ford focus alloys from a fire damaged focus...tyres are worn, so need to replace them before i put them on my 2003 focus estate, the measurements are...(195, 55 R, 15.) 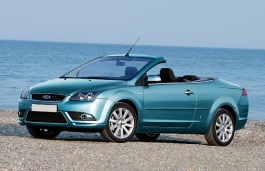 someone has offered me 4x 205, 65, 15. would this be in keeping with ford spec, and pass an MOT ? 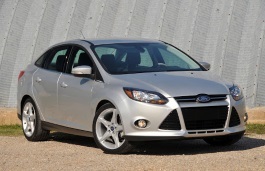 I have a 2013 ford focus with 17inch low profile tires.i am in the process of changing the rims and buying winter tires,what size rims and tires can I get to fit. 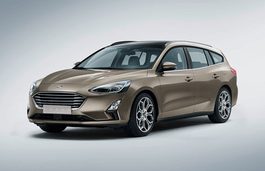 Error in database Ford Focus 2013 ? 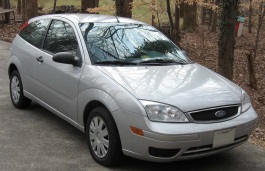 I have a 2002 Ford Focus SE with 16" rims. I am fed up with getting flat tires all the time. 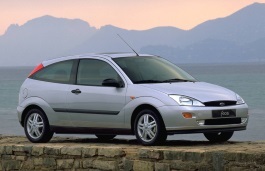 I would like to put 14" or15" rims on my Focus and be able to buy regular tires that don't go flat all the time and don't cost a fortune! Is this possible? Can I change rim sizes? Hi,Naomi May.15'' is good,But 14'' is little small. 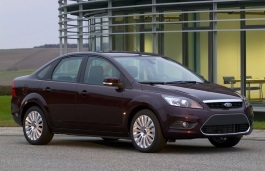 Will p205/65/15 tires on wheels coming from a 1996 Ford Taurus fit onto a 2013 Ford Focus ? 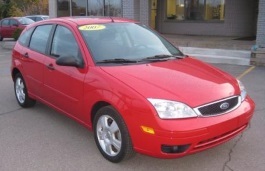 Today I bought a 2003 Focus ZX5 with 80k miles. 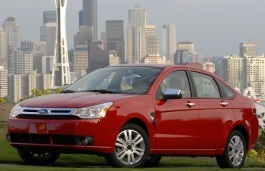 What are the largest rims I can put on this car, and the tire/rim match? This website says 17" rims with 215/45/17 tires. Are there any other large rim options? Hi,Edwin,According to your car model,18'' is the largest rims and the tire is 225/45/18.In my opinion,I does not recommand you to do it,Large rims need you to change large tire and also you need to pay attention to the clearance between car and tire. 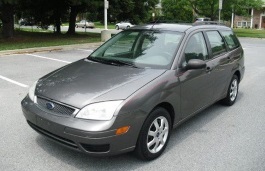 I have a 2001 Ford focus see it needs rims what size do I buy? Hi,Donna,Try 14/15 inch car rims.The bolt pattern is 5*108.offset is 50mm. Hi,Jeff,the wheel size is 16*6.5,the offset is 50,the pcd is 5*108. I have 2012 focus with OEM: P215/55R16's. Q: Can I put P195/65 R 15's winter tires mounted on 5-108 wheels on it? 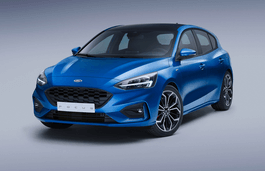 Will performance be adversely affected? Hi, Brett,What the wheel diameter? 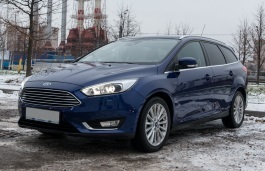 Hi,Denis,If you use want 16'' 205 tires,the largest tire size is 205/60/16,the smallest is 205/55/16.and for the rims,you can find other uesed tires from Focus,it is ok.
i have a 2002 ford focus , would low profile 225 40 18s fit ? 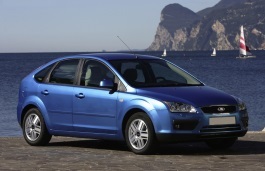 I have a 2p05 ford focus zx5 with 205/50/16 on it can i put 205/55/16 on it and not rub any wear? Hi, Anthony,no,it can not fit for.Try195/55/16. 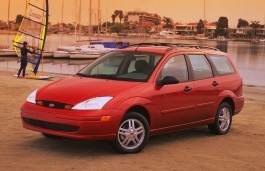 Hi I was wondering if 2002 focus rims would fit on a 2005 Ford taurus? 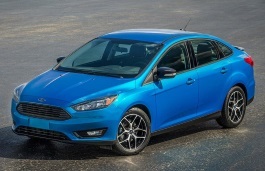 Will the wheels off an st 19'' fit an '13 sedan? 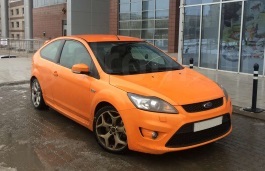 I have a 2014 focus st. needing to replace a front wheel stud. Arp needs the knurl size, and ford dosn't aseem to know it, they just want to sell me a new hub. Hi,John,Why not go to wheel dealer,They have many stud size,You can try it.In this way,you will know the stud size,and buy it by yourself in the next time. 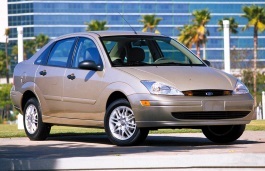 What is the cheapest price for wide low profile tires for a 2002 ford focus and where? 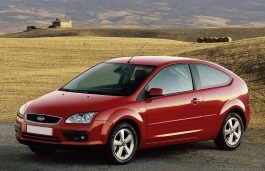 2002 Ford FocusZX5, can 18 inch wheels be used? Hi! 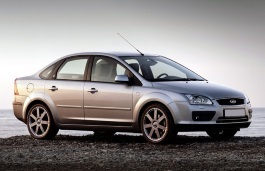 Can I fit 185/70R14 size wheels on a 2010 Ford Focus SE? Thanks! Hi. 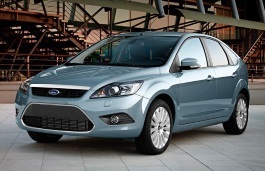 Can I change 215/55/16 for 205/55/16 in a ford focus SE 2013? Thanks. 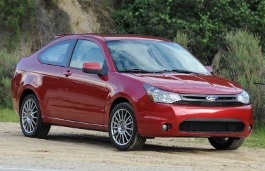 I have a 2008 ford focus SES with 16 inch rims and I want to buy 15 inch rims. Will this be okay or will they interfere with the break calipers? Hi,Manny,Yes,you can use 15'' rims,For break caliper,if the offset is compatible,it will not interfere with break caliper. 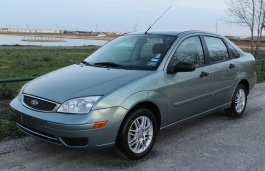 Have a 2007 Ford Focus SE with steel wheels. Would like to go with alloy wheels with tires 195/60R15. It seems like the studs are a bit short. Do we need to attempt to replace studs- Length of stud and any help appreciated! 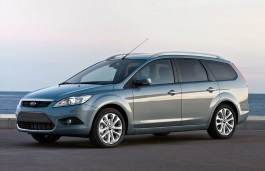 Could you please update the information for Ford Focus Estate 1.5 Petrol 150 PS? It is missing the information about the different sizes which could be applied for winter and summer. Thank you. 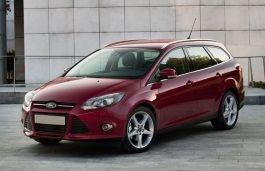 I have a 2017 Focus SEL with OEM 215/50/17, I am looking to purchase reduced size wheels & tires for the winter. Would a 15x6, 5-108, offset: 46, center dia: 63.4 steel wheel with a 205/65/15 tire be ok to fit? Will all be ok with brakes, tire size etc? Hi,Mike,That 15'' wheels and tires are compatible for your car.In fact,It is 15'' stock wheel size,So you can use it. 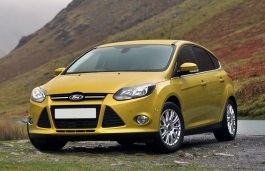 Re 2012 Ford Fiesta 1.6 TDCI Zetec S. Current tyres are 205/40/17. Could I replace these with 205/45/17. If not all round on the rear wheels only? Hi,Paul,205/40/17 is not compatible with 205/45/17.